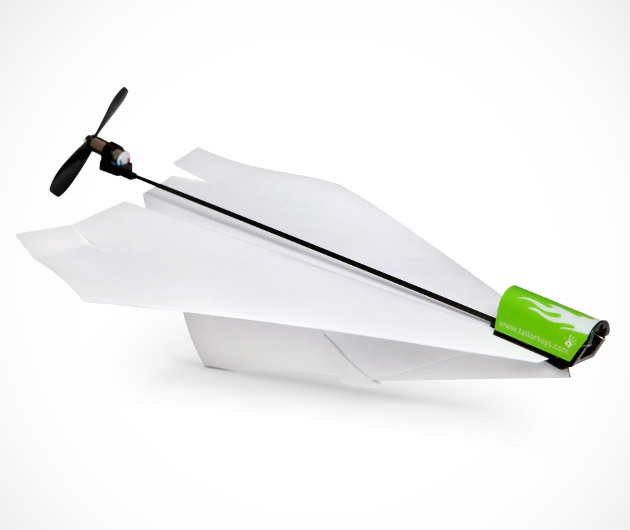 Make your paper airplane fly farther than you could ever do before with the help of the Electric Paper Airplane Conversion Kit ($20). This kit features a lightweight carbon fiber construction and a rechargeable, motor-driven propeller that can extend flight time of up to 90 seconds. Simply attach the conversion kit onto the nose of your folded creation and take flight. Pair with the Electric Paper Launcher Kit and really rule the air.